Children of all abilities and ages now have a place for play at Greenville Town Common. 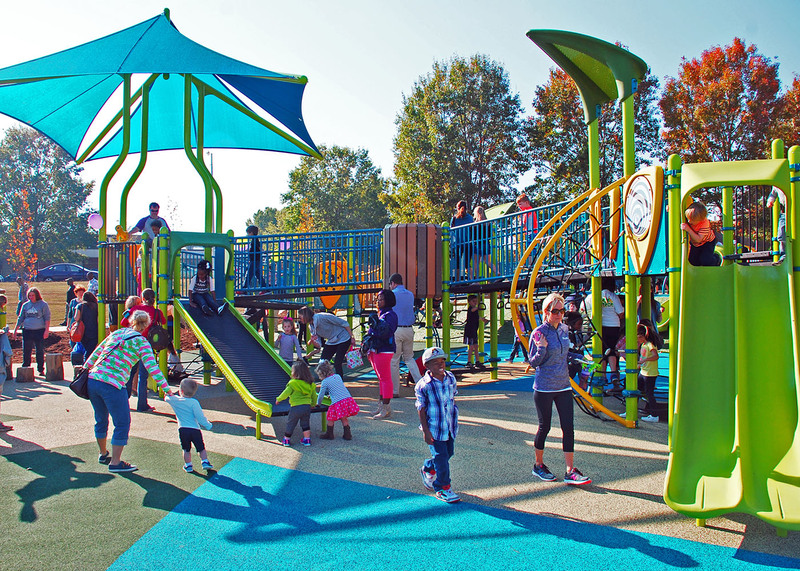 After a one-year design and construction process, Town Common Playground opened to the public on November 19th. The one-acre inclusive playground, is the first project to be implemented as part of a visionary plan to transform the riverfront park. Rhodeside & Harwell is currently leading the development of a master plan for the entire 25-acre park, which was recently unanimously approved by City Council.